Let the 2009 sailing season begin. 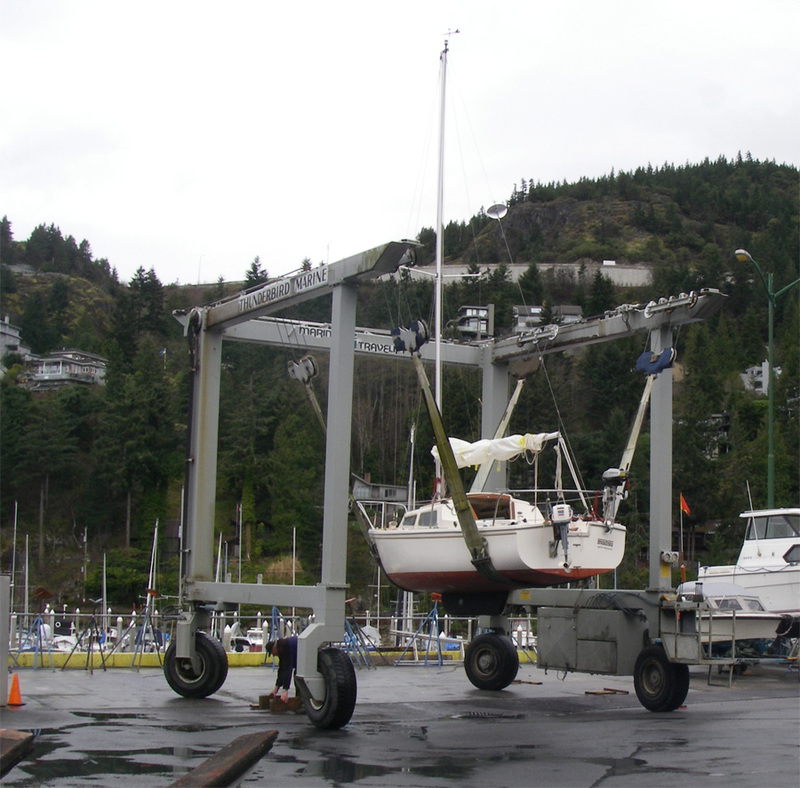 Madsu gets a lift in at Thunderbird Marine. 11 Apr This entry was written by bigsnit, posted on April 11, 2009 at 10:24 am, filed under Madsu and tagged Catalina 22, Thunderbird Marine, travel lift. Bookmark the permalink. Follow any comments here with the RSS feed for this post. Post a comment or leave a trackback: Trackback URL. The 10.5 Nikkor does wonders with the sky. New rope clutches and deck organizers this year.